Pinterest may have only been around for five years but during that time it has proven itself a force to be reckoned with in the social media world. The sight of the red ‘Pin it’ icon that enables users to pin and share the things they like on the web is an increasingly common sight on Internet browser bars and mobile devices. Indeed, its image-centric service has become so popular that many brands now view it as an integral element of their social media marketing strategies. Last week the company strengthened its hand further with the unveiling of ‘buyable pins’ – a way to purchase things directly within Pinterest. Rich pins – pins containing more information than a normal link – will get a new button that allows users to purchase things directly from partners that it’s working for. Users will see prices, be able to customise their product choice, and then tap a blue ‘Buy it’ button to purchase the product without having to click through to another site. After tapping the ‘Buy it’ button, you can pay by credit card or Apple Pay. Pinterest is also working with Shopify and Demandware to introduce secure purchasing for some two million products in time for the launch. Supported payment platforms will include Stripe and Braintree. They have no plans to take a percentage from sales or interfere with shipping and customer service procedures that would apply had products not been purchased via Pinterest. The service will also not store any credit card information. This is being made possible because of its collaboration with payment processors so that when you pay for an item with Apple Pay, it uses a device specific account number rather than a credit card number. As a result, neither your device nor Apple Pay sends an actual card number to the seller. When are they going to be launched? 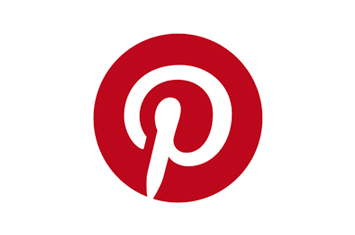 Pinterest will launch Buyable Pins initially on iOS later this month. The service will then be available on the Android platform and the Web soon after. What does it mean for Pinterest and its users? This announcement is the latest in a number of developments from Pinterest that is helping to explain why it’s being held in increasingly high regard by advertisers. They are viewing it as more innovative and future-facing than other social media services with a large number of users. The addition of ‘buyable pins’ is the missing piece in the user experience jigsaw. They can go to Pinterest to gather ideas and actively look for something through search – now they’ll shortly be able to make a purchase as well. This is good news for retailers, particularly those operating in the fashion, craft and beauty industries – sectors that have a large following on Pinterest. The Company Warehouse can set-up and manage social media accounts for startups, including Pinterest. Call us on 01245 492777 to find out more.